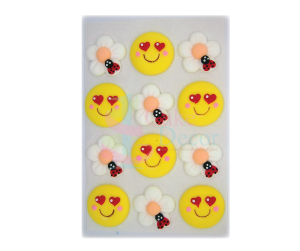 These Sunny Smile Mini Decor are perfect for cakes, cupcakes and desserts. Let’s get the celebration started for Mom! These beautiful and cute Mini Decor are created using icing and ready to Decor!